Looking for the latest back to school style for tweens? Check out our favorite place to shop for fun tween clothing and accessories! This post was sponsored by Babbleboxx on behalf of Justice. If there’s one thing I’ve found while parenting tween girls is that they have a style all their own! They are in the middle of searching for who they are and they love to show that off with their clothing and accessory choices. Tween girls are at a delicate stage in life. They aren’t quite little anymore but haven’t grown into themselves yet, either. It is a time in their life where they can build confidence and express themselves. When young girls are confident and have a high self-esteem they like and accept themselves exactly as they are. It is this healthy attitude that allows them to form friendships, become independent individuals, and challenge themselves to do bigger and better things. In short – when a young girl is confident, she is more likely to succeed! 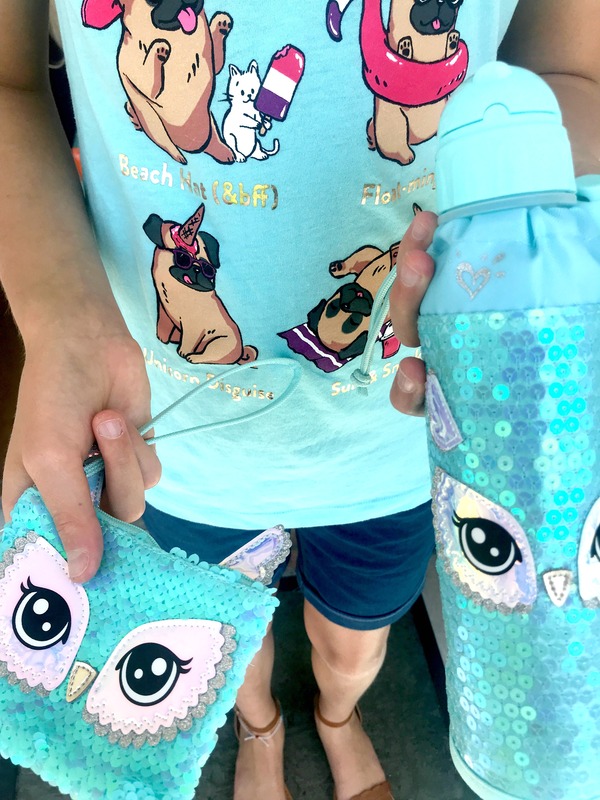 Have you ever heard the saying “when you look good, you feel good” – part of building confidence and a positive self image comes with allowing your tween girls to make choices about what they wear to reflect their individuality. Clothing for girls and accessories that reflect the things they love will improve their confidence! Learning to be an individual comes out in their clothing choices. Some girls like to sparkle, others prefer ruffles and frill, while some are athletic and looking comfort. Tweens like to express themselves with the colors they choose and the clothes they wear. By allowing them to explore their tastes and preferences and be proud of their individual choices we are building their confidence and allowing them to bloom into the women they are destined to be. Justice is our go-to store for the Tween girls (ages 7 to 14). Each collection is designed to reflect individual girls’ awesome talents, styles and sense of fun. Justice proudly celebrates girls as they strive to Live Active, Live Smart, Live Together, Live Creatively, Live Positively and Live Connected. For the back-to-school season, Justice has several new collections to let each girls’ individuality shine through and make a statement. Collections include Backpacks with matching accessories to complete her outfits! Each collection is not only affordable but designed to let tween girls look and feel great about themselves. 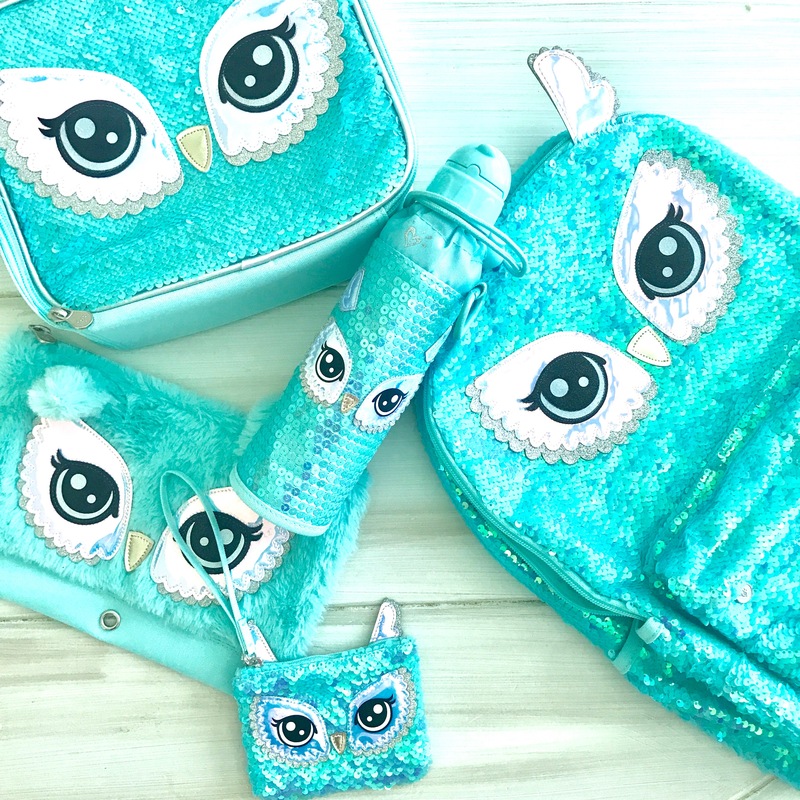 These Backpacks for Girls are the perfect way for every tween to showcase her style and Justice back-packs are LOADED with style! They also feature padded straps for comfort and side pockets to hold the matching water bottle. The inside of the girls backpacks is large enough to hold all her school gear and matching lunch tote, too! 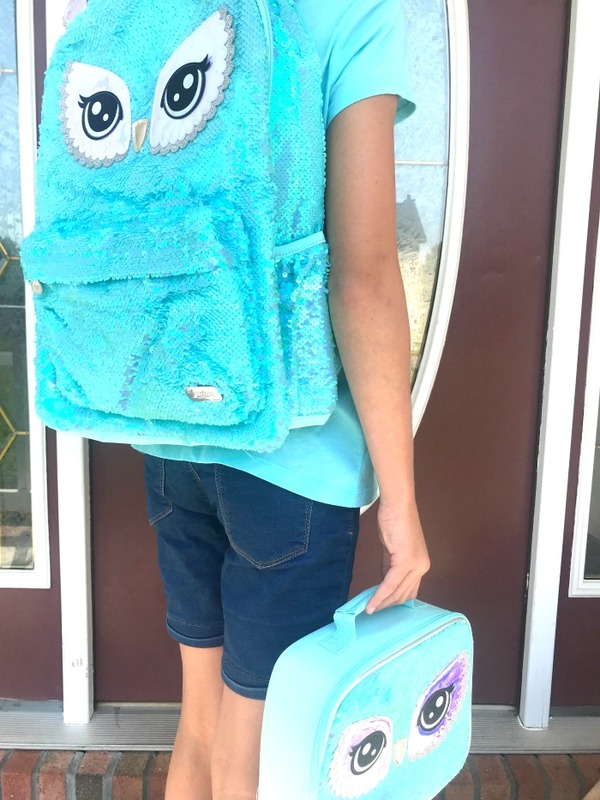 It’s Owl Good with this adorable girls backpack and matching accessories! 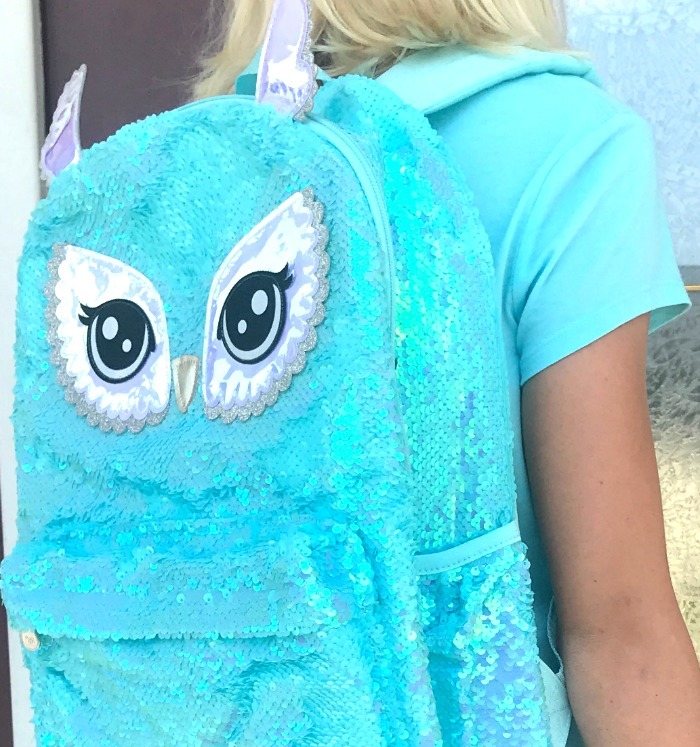 The backpack has flippy sequins all over to add to the fun and the color is bright and fresh with adorable owl face details. You can check out all the new collections including shiny ombre dots, calling all unicorns, and pink perfection on shopjustice.com.